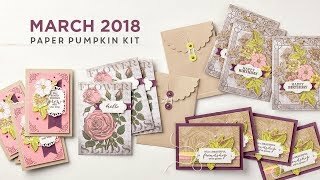 I think its fun to use different stamp sets and paper to try out a layout. 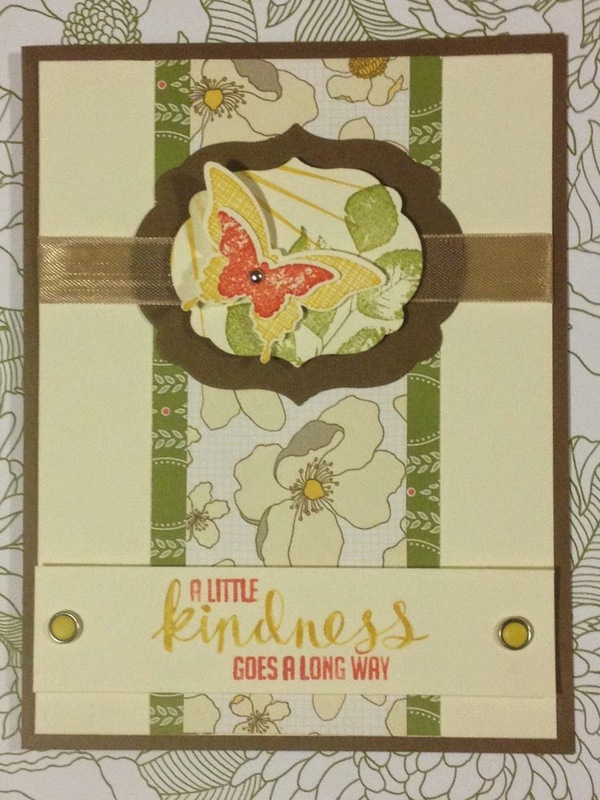 Sometimes its all in the combination of paper, layout, and stamp set that makes the card WOW! Can't say this one is totally WOW, but I did like the happy combo of colors and images. 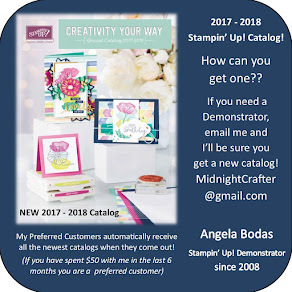 I am partial to both the stamp set and the paper, so perhaps I am biased. What do you think of these? This time out with the layout, I used Soft Suede as the card base. Very Vanilla was the second layer. 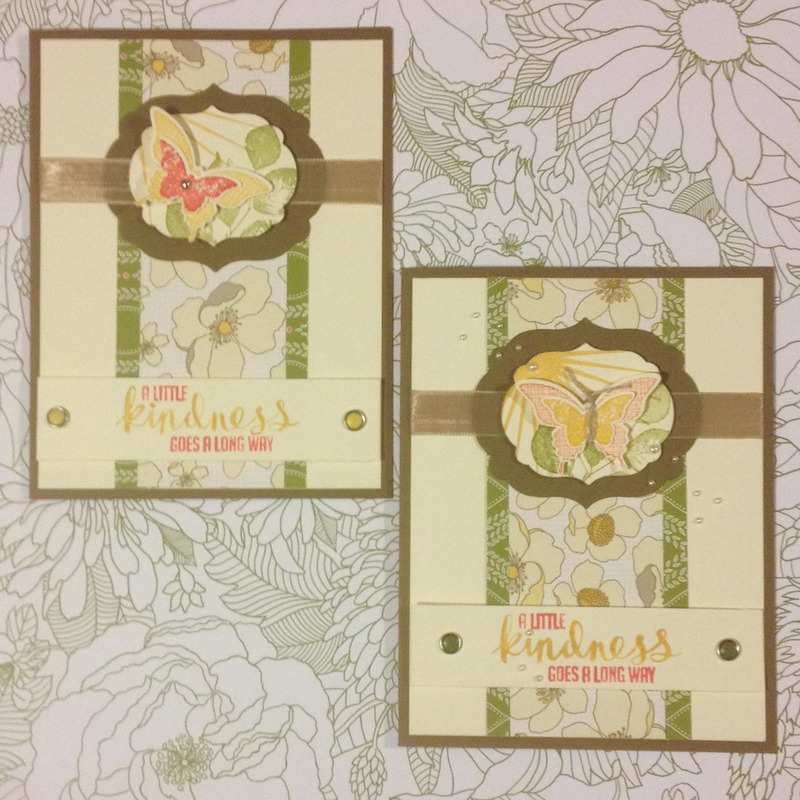 I used two prints from the Park Lane Designer Series Paper for the center strip. The ribbon accent is actually Crumb Cake, Shhhhhh!! I think it matched passably. The inks used are Old Olive, Calypso Coral, and Daffodil Delight. For the sentiment I used Stampin' Write markers to color the different word sections, handy technique to accent stamps. There are also a couple of the Candy Dot brads with "yellow" Candy Dots, and a Mini Brad in the butterfly accent. I punched out the butterflies with the coordinating punches, Elegant Butterfly and Bitty Butterfly. 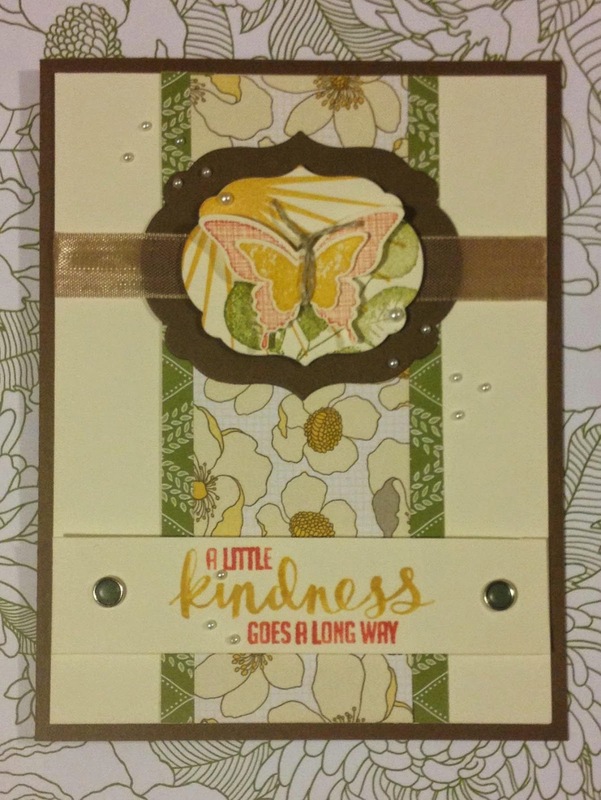 The Very Vanilla center layer, the butterfly accent, and the sentiment strip are popped up with some Stampin' Dimensionals. On this set, I did try a slightly 'stepped up' version. This version I used Old Olive Candy Dots, and added a sprinkling of Basic Jewels Pearls. The butterflies also got a Linen Thread accent to hold them together. Love that technique for butterfly punches! Thanks for visiting & Happy Crafting!